As I look around our home, I’m starting to realize that our “treasures,” while still quite functional, aren’t things our adult children are likely going to keep. Modern day antiques, so to speak. Treehugger.com posted an interesting article entitled, “Young people don’t want their parents’ stuff.” Read it … it’s interesting. 21st Century Heirs Want to Inherit. Heirs of all ages recognize themselves in old family photos. If you don’t have time to scan prints and film before gifting, enlist help. Gift the slide collection with a useful slide sorter and viewer, or a film-capable flatbed scanner for digitizing. I found an old Logan slide sorter in my aunt’s garage that helped me sort and select 35mm slides for digitizing. Give the family photo album a new home in an acid-free archival box. Add a pair of white cotton gloves to protect the prints from fingers and body oils. Most of us have memories of school days and special life events. As more publications go digital, fewer printed records are being published and our parents’ and grandparents’ old school yearbooks and wedding albums are becoming more rare. Millenials are discovering old yearbooks as special occasion coffee table books, brought out to savor and enjoy. If you are ready to pass on a family album, give it a new home in a slipcase cover or acid-free archival box. Digitize the pages and create a reproduction book for each family member to enjoy using the step-by-step instructions in my book How to Archive Family Photos. Handwritten pages bring our ancestors to life. Does your family include a writer, academic, or historian who might treasure the words of another family writer? Consider careers as well as hobbies when looking for a future heir. No handwritten volumes? What about decorative marriage and baptismal certificates, land deeds, property maps. These documents can be attractively displayed when framed with archival materials and UV-filtering glass. Or, scan, reprint and frame a high-quality reproduction and present the original in an archival storage envelope. Medals, service ribbons, uniforms and other pieces that speak to our ancestor’s military service are often welcome heirlooms. Burial flags recognizing a veteran’s service can be folded into the traditional triangle and displayed in a glass front flag case. If you purchase a case with regular glass, display the flag in away from direct light or replace the glass with UV filtering glass or plexiglass. Medals are often preserved in the original box, perfect for gift presentation. Comments from several readers show that sometimes inheriting one item is even better than owning the entire collection. One woman repurposed family silver as monogramed bracelets, another kept a single cup and saucer from a larger set of wedding china. Many family heirlooms have become antiques or collectibles in their own right, from baseball cards and bobble-heads to vintage pocket watches. If you can afford it, pay to have the debut Super Bowl program and game ticket professionally framed with archival materials before you give it to your grandson. Present your grandfather’s Lincoln Penny book with a guidebook to coin collecting and an inexpensive magnifying loupe. Old hobby equipment might seem outdated, but vintage sewing machines, fishing tackle, and woodworking tools have become much-sought treasures to modern hobbyists. Taste may change as we get older, but some interests just grow in fervor. Think carefully about the hobbies, career, and interests of the recipient of any gift. No matter how much I love my aunt’s old pottery cookie jar, it’s probably not a great gift for my grandsons. Instead, young boys might like granddad’s stamp collection or their dad’s baseball cards. Pick up a pen and paper to handwrite a note explaining everything you know about the gift you’re giving. Include the name and basic information about the original owner and other owners. Explain how the keepsake came to you and any special memories or stories you recall. Include the original receipt, photos, or letters mentioning the item. Tell me about this book! 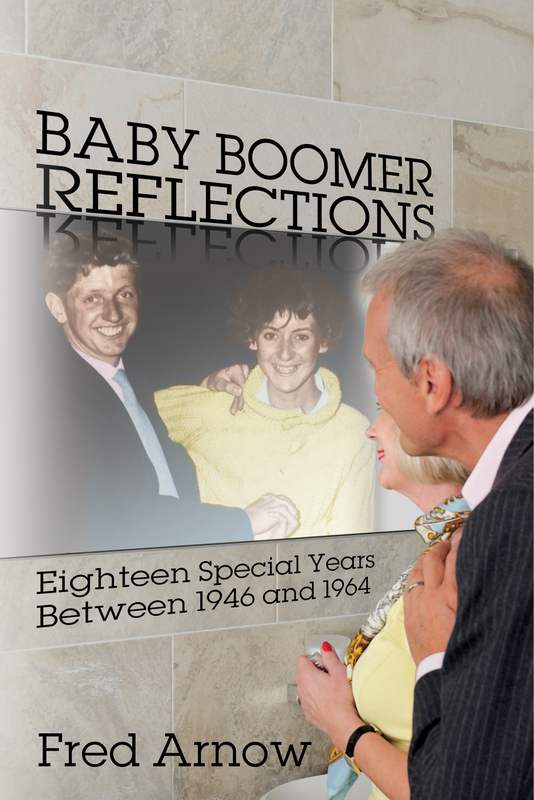 A fiftieth high school reunion inspires this recollection of what it meant to grow up in the 1960s—memories that baby boomers will find intimately familiar.